Just in case you're thinking why I've included makeup in corporate styling, let me clarify in the beginning itself. Styling is not just about clothes. Its the entire look which includes the usual, that is, clothes, shoes, accessories and the not so commonly known which is makeup & hair. We all know that appropriate clothes and grooming takes us a long way in our career and good, classy make-up helps a great deal in boosting our self-confidence. Also, when we talk to somebody, the first thing people notice about us is our face. Yes, we are being judged from head to toe but our face is what draws the maximum attention. Most important, our eyes are going to hold that attention if we want them to, or not hold it, if we dont care enough.And that is why working women have to understand and realize the importance of eye make-up, esp. the ones working in corporates where you have to look both presentable and professional at all times. I do understand apprehensions Indian women have about eye make-up because talking about it conjures up in our minds the bright, shimmery pink and purple eye shadows women wear to weddings. So yes, reluctance in using eye shadows is only right. Fortunately, there exist brands that offer solutions to address this issue very effectively. 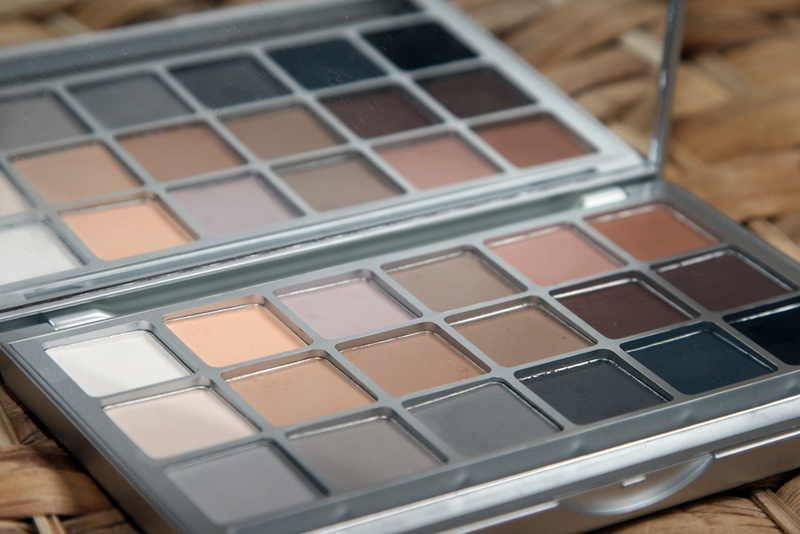 Kryolan, for instance that offers eye shadow palette made up of 18 neutral shades in matte quality. Kryolan Eyeshadow Compact 18 V3 (Natural). Kryolan as a brand is suggested to make-up professionals esp. for films and theatre because of the high quality professional products they offer. But I would say that along with make-up professionals, every working woman should have this eye shadow palette. Its a must. From the 18 shades ranging from the lightest to the darkest, where lighter neutral shades can be used for softer natural look and the darker ones for night smokey eyes for lets say a farewell party or an evening formal occasion. We women anyway wear so much bling and colors in India, be it a grand wedding or a simpler birthday party, going for eye makeup without flashier colors or shimmer seems like a classier option. How It Works Lighter shades in the palette can be used in the day when you want a subtle look and the darker ones for a more dramatic look. Why I Recommend This Product The colors in this palette are well pigmented which means they actually show on your skin. In other words, you dont have to apply layer after layer for the results to show.They dont cake and are easy to blend. Not to forget, they are really long-lasting. Why Its So Good The matte quality of these colors gives you a classy, self-sufficent base and gives you the added option of adding shimmer only if you want. How To Make The Best Of It These are some great tutorials to do natural eye make-up best suited for working women. Where To Buy It Check out Kryolan stores in your city. Price This palette cost me INR2500 at the Kryolan exclusive store located in Oshiwara, Andheri West, Mumbai. Just Remember Practice makes a man (read 'woman' here ) perfect ! Have fun !